I have been absent from this blog for a good long time and I am trying to make amends. 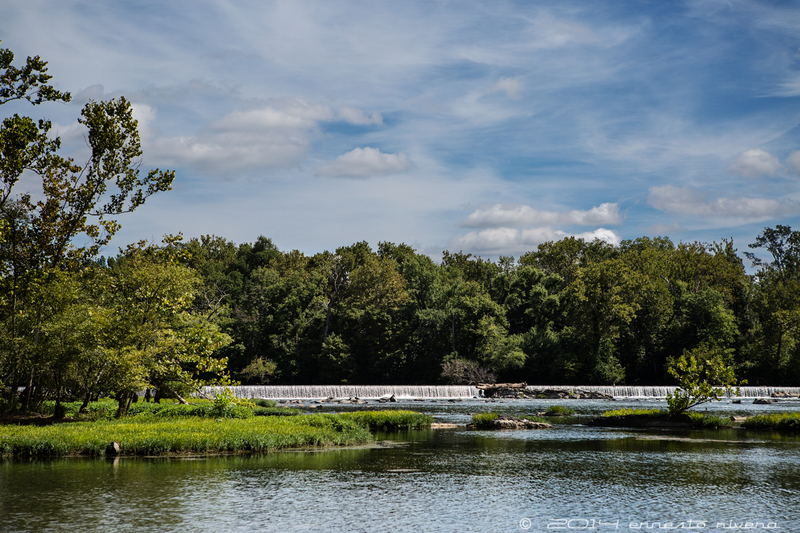 This blog is primarily about places and the photo opportunities those places offer so in that spirit, yesterday I visited one of my favorite places in the Washington Metro Area: Great Falls, on the Maryland side, only because it is closer to me, but both the Maryland and Virginia side are equally wonderful. We are in the middle of an estrange winter here in the Mid-Atlantic region of the US, so smack in the middle of January, which is the harsher of the winter months, we have had temperatures reaching 70 degrees Fahrenheit. Although not as warm yesterday and today, it was about 50 degrees yesterday and partially sunny, which is wonderful for photography. Seemingly there is not much to photograph this time of the year when all around is grey and uniform in color but if we look carefully, there are many interesting things, from tree bark to moss to wildlife. This photo was taken at the “Tavern” which is the park’s visitor center and museum. There is a short history of this place at http://www.canaltrust.org/discoveryarea/great-falls-tavern/ but in essence, the Tavern was a lockmaster home which was expanded by a very entrepreneurial lockmaster in the days when the canal was in operations. This is the time of the year when the cherry trees are in full bloom around here in the Greater Washington Area, and I am sure, in a lot of other places. For the last couple of years, I have made the trek to the Tidal Basin in Washington DC and I have stood in awe at the beauty of the flowering trees around the basin in the early morning, when the sun is just raising in the east and casting a magical glow on the flowers. The price of admission is that you have to be there by sunrise and you have to brave the crowds, even on weekdays. So the 2016 blizzard is history. My DIY yardstick shows we got 22.5″ as measured in my backyard, and a week later half of it has already melted. I ventured out the day after the storm and walked around Kensington and I got some pictures, not great or even good pictures, but representative of what it was. Here they are. As predicted, we are getting hammered by a blizzard in the mid-Atlantic region of the USA, and as most everyone knows, we don’t do snow very gracefully here in the Washington Metro area. We had a prelude to this blizzard two days ago, a little dusting of roughly an inch of snow, and even the leader of the free world, the president of these United States of America got stranded in the nation’s capital beltway. Go figure. With that in mind, I have been preparing for this, in order of importance: wine, cheese, coffee, bread, full tank of gas in the cars, camping stove, propane canisters to make the coffee in case we lose electric power, and a couple of bricks. Not pavers: good old very dense bricks. Bricks, you say? Well yes, although we have a gas furnace, it needs electrical power to pump the water that heats the house so, if things get ugly the bricks are to be heated, slowly so they are heated to the core, then wrapped in separate towels – his and hers, you know? – and placed in the bed for warmth. Because in bed is where I will be if things get ugly-cold. And the birds have food in the feeder and water from the heated water fountain – yeah, quite geeky here – but they are on their own without electricity. And finally to make sure this thing measures up to the hype of up to 24 inches of snow by Sunday morning, I made a ruler – see the picture – that will tell me how much progress we are making, that is if I am not too cold to look out of the window to my backyard. 2016 – Happy New Year!! Wishes of a Wonderful 2016! To my friends, with gratitude for sharing part of your time with me. To my family, thank you for your love and for the joy of having you in my life. To my clients, thank you for thinking of me when you need the type of services I provide. 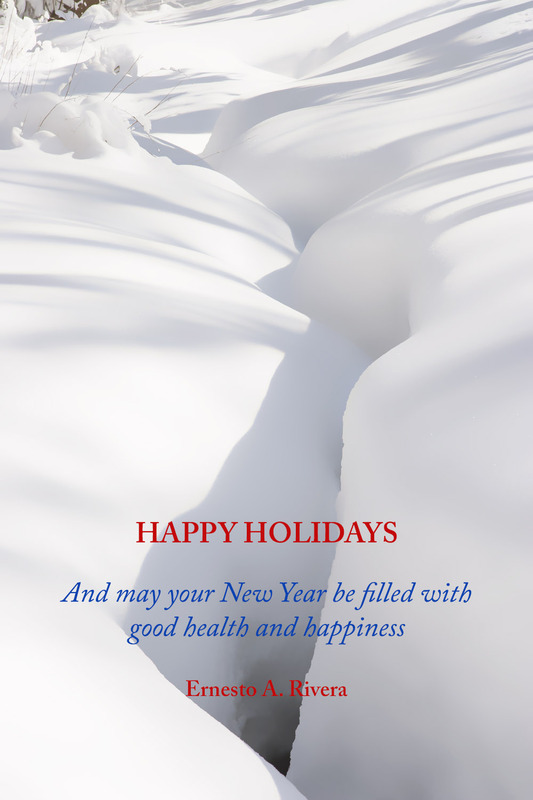 Happy holidays and may the Year 2016 be the blessing you deserve!